Create your own private game and invite your friends! Join a game below or sign in to pick a New Puzzle. Use the Invite button to get your friends into the same game. NEW! Players can create PUBLIC games that appear on this homepage. Choose 'Public' when creating a new puzzle. JigsawPuzzles.io - Free multiplayer jigsaw puzzles for you and your friends! 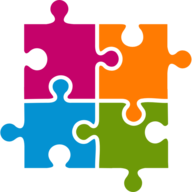 JigsawPuzzles.io provides a new way for puzzle fans all over the world to unite and cooperatively solve puzzles together. We've hand-picked thousands of beautiful, high-quality, family-friendly images from a variety of talented amateur and professional photographers across the globe. This new-meets-old concept brings cooperative online multiplayer to a gaming tradition that people have enjoyed for centuries. The history of jigsaw puzzles dates back as early as the 16th century, where cartographer John Spilsbury of London first created them out of wood. They were originally intended to be used as a learning aid for teaching geography and national boundaries on maps. In the modern day, we've expanded from these humble beginnings to feature countless different types of artwork and photos on our jigsaw puzzles. However, we think some of our best puzzles are still rooted in this tradition of exploring geography and other nations around the world. Piece together a scenic beach setting from the Spanish Riviera, or check out the vibrant colors and lights of Tokyo's metropolitan sprawl. JigsawPuzzles.io brings some of the world's most breathtaking vistas and locales right into your browser - one piece at a time! Click on any image above to join a public jigsaw puzzle game - the difficulty and number of players currently solving each puzzle is shown at the top of the image. If you'd like to play a private game by yourself or with friends, Sign in at the top of the page and then click the New Puzzle button. To view and resume progress on any incomplete puzzles you've been working on, simply click the My Puzzles button at the top of the page. Play solo, or invite others to join your game! Once you've started, click the Invite button to generate a link, then share this with your friends to have them join the fun. Questions, Comments, or Need help? Drop us a line on our social media links above, and be sure to check back regularly as we continue to add new puzzles each week!